Dubai: UAE’s new labour laws, which came into effect from January 1, are already helping to protect workers from the Indian sub-continent from exploitation, the Indian Ambassador to the UAE told Gulf News in an exclusive interview. “The UAE’s role in safeguarding workers’ rights is praiseworthy. The new rules will prevent the exploitation of workers by unscrupulous agents,” said T.P. 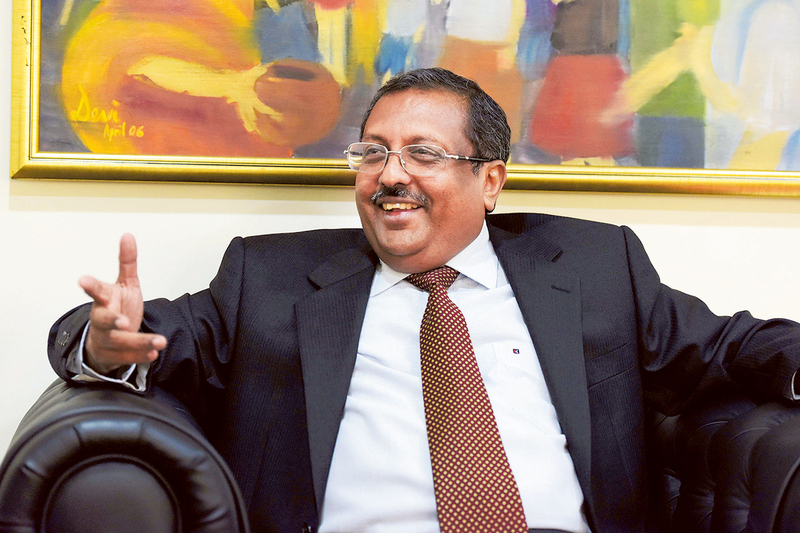 Seetharam, Indian ambassador to the UAE. There are 2.6 million Indians in the UAE, of which 65 per cent are workers, according to Dinesh Kumar, first secretary, Community Affairs, Embassy of India, UAE. The new labour rules are aimed at enhancing the UAE’s labour market conditions, offer better protection to workers and consolidate the contractual nature of labour relations. The key element of the new regulation is the unified labour contract that standardises employment terms, which was drafted by the Ministry of Labour as part of the three new decrees. According to the Indian Ambassador, these new rules are not only worker-friendly but have also gone a long way in weeding out any scope of exploitation of the expat workforce, specially in the semi-skilled and unskilled category. “The first thing the UAE government did was to disallow substitution of labour contracts,” Seetharam said. “Usually, workers would sign a particular labour contract in their home countries, which was then substituted by another contract when they arrived in the UAE. "Now they have a greater sense of security and know that they will get what they signed for and expect in terms of remuneration and other working conditions,” he said. Seetharam expressed his happiness that the UAE labour contract could now be signed in several languages, including many Indian languages such as Tamil, Telugu and Malayalam. “Most of the semi-skilled and unskilled workers who come from India do not read or write English," he said. "By making the contract available in their mother tongue, comprehending the nuances of the labour contract is much easier for them. This will also ensure that they are not misled or duped into false commitments." The ability of expat employees to switch jobs under the new rules is another welcome step, Seetharam said. “The other most important rule that has come into effect since January 1 is the mobility of the workforce from one job to another, of course under certain conditions. "I think this is a welcome move for the workforce as well for as the employers, as these new laws have created a positive atmosphere at the workplace and have benefited all." At the time of introducing the new laws, the UAE labour ministry said the new rules would bring greater clarity and lead to tighter monitoring of labour contract conditions and ensure that both the employer and the employee enter into fully voluntary relationships. As part of the unified labour contract, all employees across the UAE are presented with a standard employment offer that contains clear and enforceable conditions of employment, before the worker’s entry into the UAE. The contract will need to be signed by both the employer and the worker. India’s eMigrate system in full sync with new UAE labour laws. Recent steps taken by the Indian government to protect the rights of its expatriate workers are in synergy with UAE’s new labour laws, according to the Indian Ambassador to the UAE. “Our new eMigrate system, despite the teething troubles, completely ensures that fair conditions of employment are followed,” Seetharam told Gulf News. “It restricts the recruitment of workers except through the eMigrate system, thereby ensuring that all recruitment agents as well as employers have to register with us. That prevents exploitation by recruiters who sometimes promise jobs, take money from the workers and disappear,” he said. The Ministry of Overseas Indian Affairs launched the eMigrate project last year for the recruitment of Indian workers across all 17 Emigration Check Required (ECR) countries. All foreign employers who seek to recruit Indian workers need to register in the eMigrate system, and go through a verification process. The system came into effect from June 1, 2015, but there were reports of teething issues with the system. “We are still in the process of fine-tuning the eMigrate system. We wish we had a longer trial period for eMigrate to avoid the reported delays but, despite several issues, the system is up and running now,” Seetharam said. He also cited a system in place for recruitment of Indian nurses — who are in demand across the world — as another example of the Indian government’s proactive stance to protect its workforce. “Nurses can now be recruited only through registered government organisations. This deters agents from offering fake appointments to Indian nurses and fleecing them of big amounts as a job guarantee. This has proved to be an effective safeguard,” Seetharam said.